This year you are being challenged to read at least 30 books! The great news is YOU will be able to choose your own books…. You might be asking WHY SHOULD I READ? 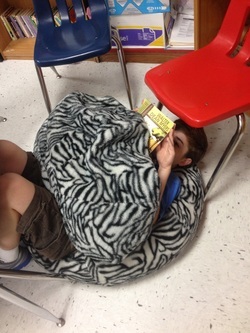 Reading can…. help make connections…make us realize commonalities with others, think about new ideas, make us laugh out loud, make us question our actions and beliefs, change our habits, ignite our passions, influence our future, ponder our past…..reading can motivate, change, and improve our lives…. Some of you have no clue what to read and some of you have already caught the reading “bug”…..